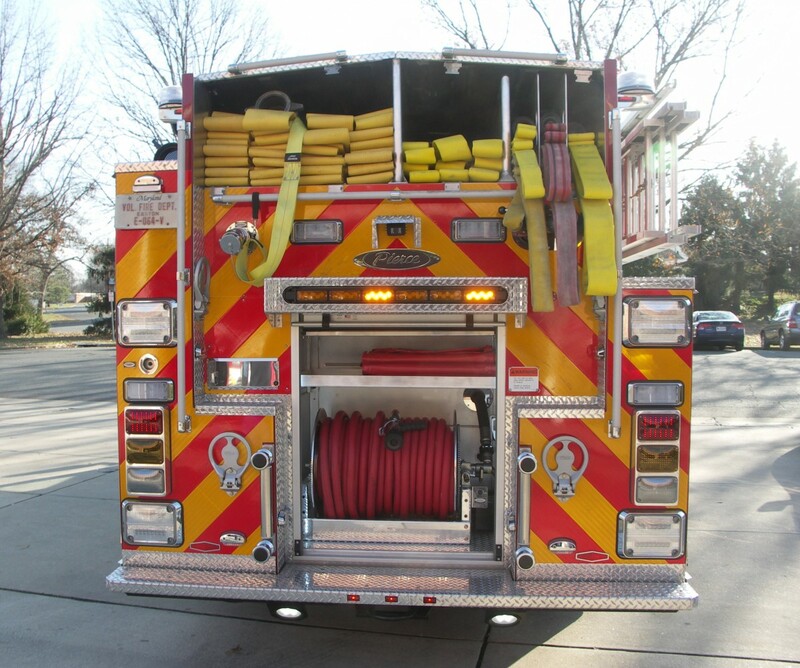 This unit carries 1000 gallons of water, 30 gallons of Class A foam, and 40 gallons of Class B foam. 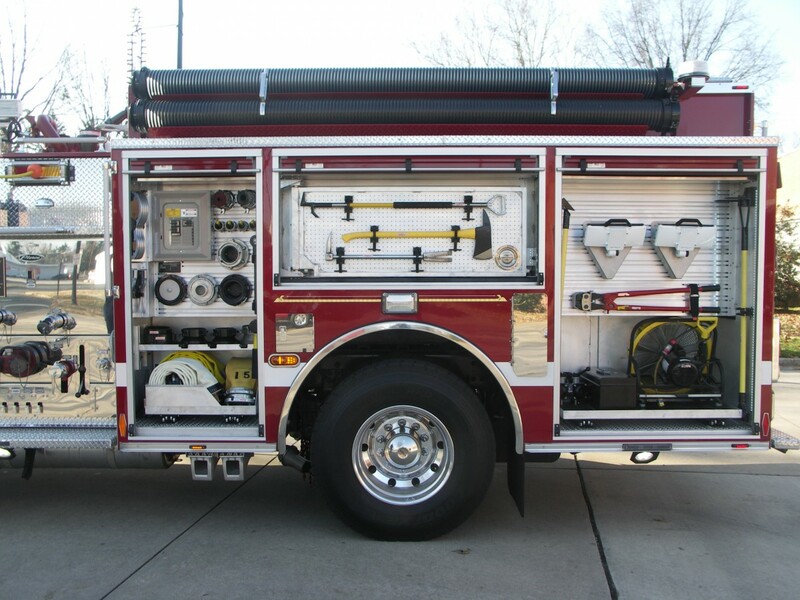 It is equipped with a 1500 gpm pump, Pierce Husky foam system, carries 1000 feet of large diameter supply line, and over 800 feet of attack line. 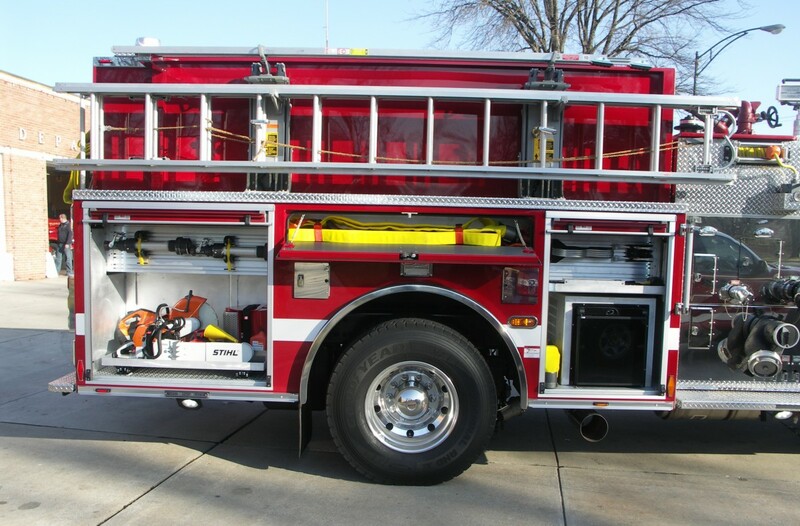 The unit seats a crew of 6, and carries a full compliment of hand tools, saws, medical supplies, SCBA, portable scene lighting, and a thermal imaging camera. It has a 500 horsepower Detroit diesel engine and Allison automatic transmission, with a pto driven generator. 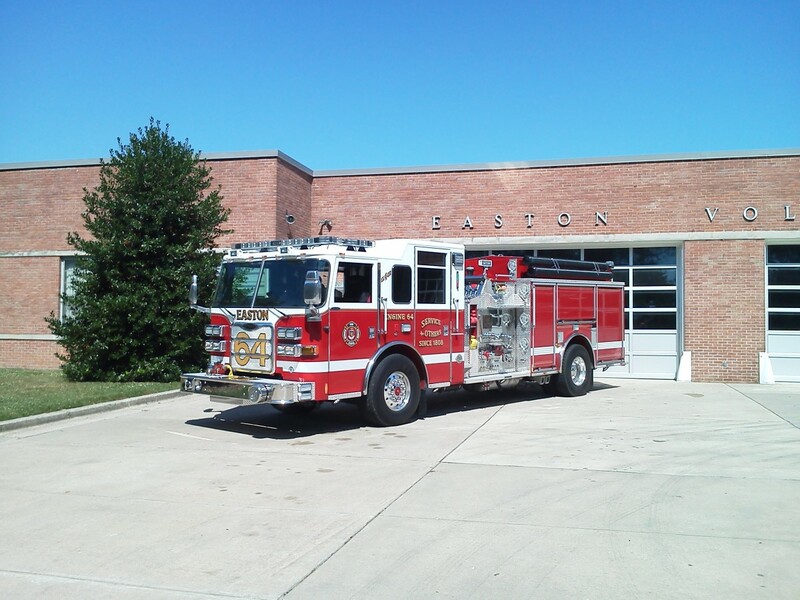 This unit is housed at our headquarters station. 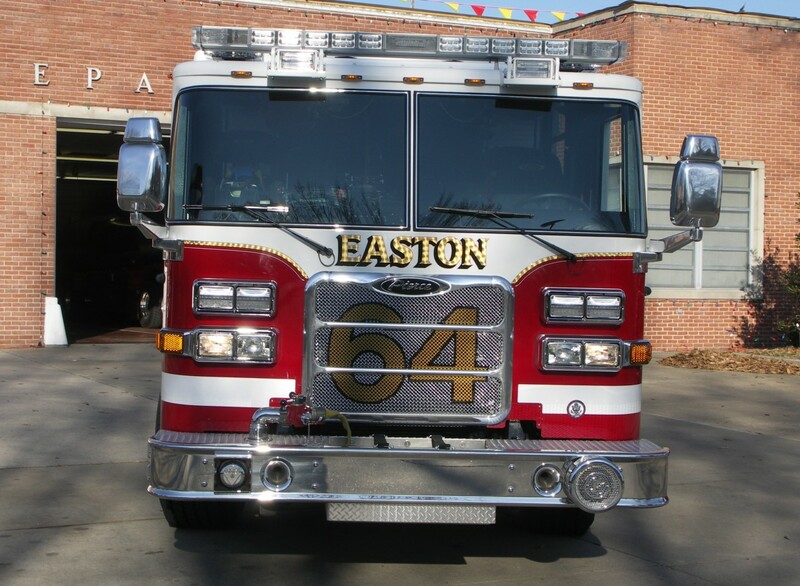 This unit is dedicated to the Chance and Soulsby families, who have a long-standing tradition of service to the Easton Volunteer Fire Department. Members of the Chance and Soulsby families have served the department since the early 1900s. 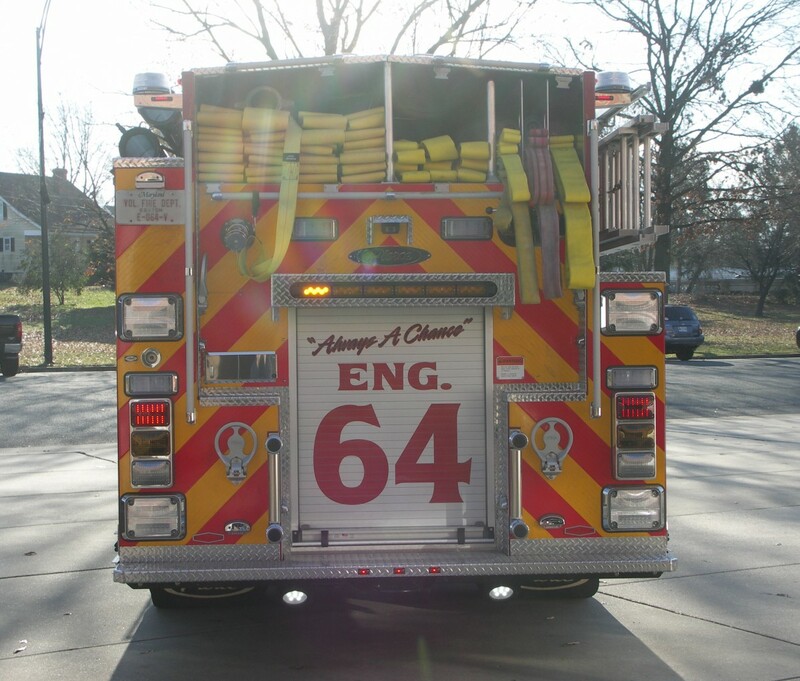 This includes five members of the Chance and Soulsby family who have served as fire chief: C.M.T. "Milton" Soulsby (1912-1920), James Chance, Charles R. "Randy" Chance Sr., Les Chance and Charles R. "CR" Chance Jr. Other Chance family members have served in various positions within the department as well. Those members are Ronald Chance, Robert Chance, and Jesse Chance.